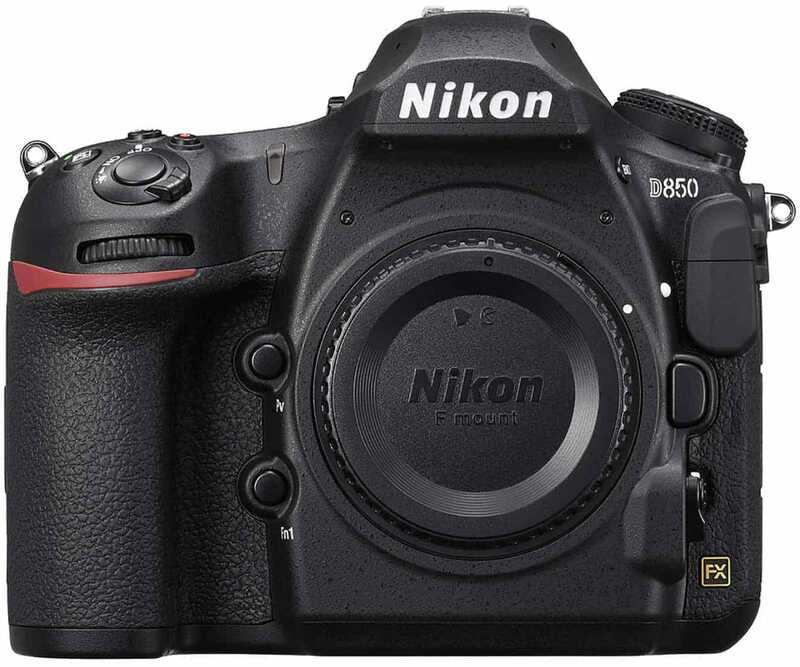 Amazon and B&H has quietly made the Nikon D850 available for pre-order soon after Nikon held a private launch marking the centenary of the company. Amazon even states that the camera will be shipping on September 7. This highly anticipated full-frame camera promises a lot. Initial trials by those who were fortunate to have access to the pre-production models say that the camera is lightning quick, especially in single-point auto-focusing mode. For someone who might already be using a fast camera like the D7200 or even the D4, does the new D850 makes better sense? Should a new DSLR enthusiast be looking at this as their first camera? Should you upgrade or should you sit tight and check the test results from the actual production models when users have a better chance at taking the camera through its paces? Let’s make a quick run through of the features of this camera and find out more about it. Hopefully we can come up with some answers. Strange it seems that I started off with something that I don’t usually write about at the very beginning. But it is difficult to not notice the viewfinder. The pentaprism viewfinder is huge. It is 17mm in size. The biggest among Nikon full-frame systems. It has 0.75x magnification, which kind of gives away the fact that it is huge. It is so much more comfortable looking through it and composing. For someone wearing glasses, like me, it is finally possible to see everything that’s within the frame. This is the first time that Nikon has used a BSI sensor inside a Nikon DSLR body. The sensor inside the D850 is a completely new design. This is a 45.7 megapixel full-frame BSI CMOS sensor. Additionally, an optical low pass filter has been omitted in the designing. Two immediate takeaways from this – (a) greater detail thanks to the higher resolution and (b) better low light performance. Speaking of resolution the camera produces frames the size of 8256 x 5504 pixels. That’s simply mind-boggling for a DSLR system. Not that we haven’t seen higher resolution DSLRs before. Remember the Canon 5DS R people? But the thing is the D850 combines the best of many worlds. The metering on the D850 has been improved big time. It is a big jump from the 91,000-pixel metering system on the D5 to the 180,000 pixel chip that now powers the D850’s metering. There is also a dedicated AF processor. Together, the system is able to give better subject tracking and better face detection. This is something at par with the flagship D5. The D850 uses the EXPEED 5 image processing engine. The native ISO range of the D850 is 64 – 25600. In the extended mode that goes all the way from 32 – 102400. The Nikon D850 is no match for the D4S or the new D5. The continuous burst speed with auto-focusing and auto-exposure is only 7 fps. It shoots 51 14-bit lossless compressed RAW frames at that speed before the buffer overruns. However, burst shooting speed can be increased if you can use the MB-D18 Multi Power battery pack or the EN-EL 18a battery. Burst speed increases to 9 fps when you do that. But I would add that if you make your shots count and shoot small bursts only, you will not feel any overflowing buffer related issues even if you shoot fast action or sports photography. The D850 is quick. In fact it is lightning quick. It uses the same auto-focusing mechanism as the Nikon D5. It has 153 phase detection sensors. 99 out of them are cross-type. 15 sensors at f/8. The center point is sensitive down to -4 EV. All other points are sensitive down to -3EV. The 3.2″ 2359,000 dots rear LCD screen tilts. This is a first for Nikon’s professional bodies. As you can imagine a tilting screen has some unique advantages. But I would have liked a vari-angle design, which is more practical. Better than nothing though. And the rear screen has touch properties. Which is good to have especially as now you can flip through what you have shot smartphone style. Another feature that the rear LCD screen when compared to the D500 and the D5 is that the touchscreen ability is available even in live-view mode. The D850 is a more than capable video camera. It shoots 4K videos using the entire full-frame area of the sensor at a maximum frame rate of 30 fps. Alternatively, you can choose to shoot at a DX crop mode. There is also a full HD video mode which allows you to take advantage of the D850’s superior frame rate (120p). It opens up new dimensions in terms of super slow motion effects. You can shoot at 120p and then play back at normal speed for up to 5x slow play of your clips. The D850 has the ability to shoot and transfer uncompressed video files to an external recorder via an HDMI output. Auto ISO has been provided as well. This feature allows you to maintain a consistent exposure, even in changing light as the camera automatically dials in the correct ISO when the ambient light changes. Two additional video shooting features on the D850 are the focusing peaking in manual mode and the Zebra stripes. These are immensely useful when shooting videos in manual mode. You also get a built-in stereo mic. But more importantly you get the option to insert an external mic via the 3.5mm input. The focus shift feature of the camera is a nice way to adjust focusing after the fact, capture a number of shots or produce an image with a high depth of field. A maximum of 300 images can be taken with focusing interspersed with 10 different steps. While recording these images in the memory card the D850 will create separate folders for each set of these images. This is to assist in the post-processing workflow. There is a built-in capability to produce both 8K and 4K time-lapses in-camera using the built-in interval shooting mechanism. A maximum of 9999 exposures can be used for this purpose. An interesting and this directly benefits the longevity of the shutter is the silent shooting mechanism. This is stated to also not put a stress on the battery life of the camera. The D850 comes with built-in wireless connectivity. It is easy to connect the camera with an available network, transfer images and video files. Using SnapBridge Bluetooth connectivity you can even remote operate the camera using a compatible smartphone / tablet. Magnesium alloy chassis underneath gives the camera great strength and the ability to withstand some degree of abuse. The D850 construction is similar to the D810 but misses some elements while gaining some. The built-in flash on the D810 is now missing on the D850. Nikon has argued that the absence of the built-in flash has made the D850 more weather resistant than the previous D810. In any case, no many professional photographers use a built-in pop-up lens. So, they wouldn’t be complaining. But, on the flip side, the D850’s grip has been revised. It is now more pronounced and is definitely better to hold. The D850 is a phenomenal camera. It is one of the most complete DSLRs, you are going to find at this price point. Significantly cheaper than the flagship D5 and not too over-budget compared to the impressive feature list. It shoots fantastic stills and have great video shooting capabilities as well. It is the perfect DSLR if there were ever something like that. Watch out mirrorless users. If you are looking upgrade from a crop camera, by all means go ahead. If you already have a full-frame but need something with better for shooting videos and stills, the D850 is a great choice you can look at. You can buy the Nikon D850 now on Amazon or B&H PhotoVideo.